When King William of Orange ascended the throne, his first act of parliament was to liberalise the production of gin. Passed in 1690, it heralded a gin revolution and the start of craft gin distilling that we know today. 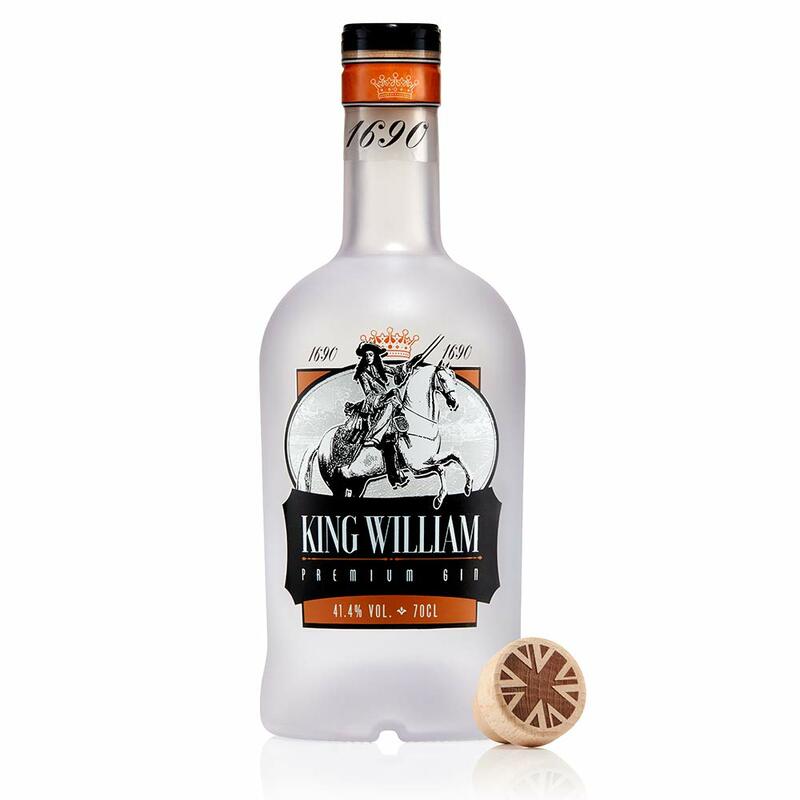 Our premium gin raises a glass to King William, the royal father of gin distillation on the U.K. Remember 1690 with our exceptionally smooth botanical gin. HOT GIN TODDY – Simply mix 30ml King William Gin,20ml lemon juice, 50ml hot water, tsp sugar, cinnamon stick and an orange peel – Then Enjoy!